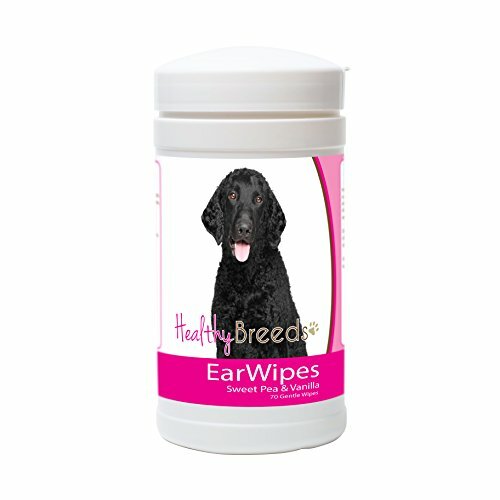 Healthy Breeds Ear Cleansing Wipes are an easy to use, clinical wipe to clean dirt and debris from your dog's ears. The wipes are a gentle, fast, and simple way to keep your dog's ears fresh and help prevent ear infection! No more scratchy paper towels dabbed in water! These clinical wipes are the gentle and fast way to keep your dog's ears clean and odor free! Just like human ears, dog ears need to be cleaned frequently to remove dirt, wax buildup, yeast, and debris to help prevent ear infections and mites! Easy-To-Use wipes are a quick solution to clean your dog's ears without having to mess with drops, wash, solutions, or medications! Sweet Pea and Vanilla scent will leave your dog's ears smelling fresh! Healthy Breeds is a trusted brand! All products are MADE IN THE USA and manufactured in Federally Regulated Manufacturing Facilities! Healthy Breeds offers an assortment of dog healthcare products, grooming products and treats for over 200 breeds! Make sure to search for your breed! Click the Healthy Breeds hyperlink above to see our amazon storefront!